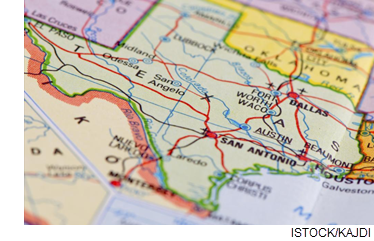 ​​​​ TEXAS – The Lone Star State landed the top spot on CNBC’s "America's Top States for Business 2018," making it the first four-time winner in the 12-year study. CNBC cites the long-awaited rebound in oil prices—which increased around 60 percent in the past year to the $70-per-barrel range in June 2018. The report notes that the state added more than 350,000 jobs in the past year, with the energy sector driving the biggest increase. Texas saw solid economic growth last year, especially 4Q 2017, when state GDP increased 5.2 percent. That boosted Texas’ rank in the economy category to No. 1 this year, up from No. 25 last year, when oil prices were around $40 per barrel. The Lone Star State also ranked No. 1 in the infrastructure category, No. 3 in access to capital, No. 7 in workforce, No. 9 in technology and innovation, and No. 11 in cost of living.